If you read books such as the Song of Fire and Ice series or just going over medieval history books, you'd become acquainted with the different forms of medieval fortifications, such as the citadels, redoubts and star forts. As these were developed during the Middle Ages, it's not a surprise that almost all of the examples of these structures are found in Europe. But Filipinos need not go to Europe to see these kind of structures, as several were built by the Spaniards during colonial times. 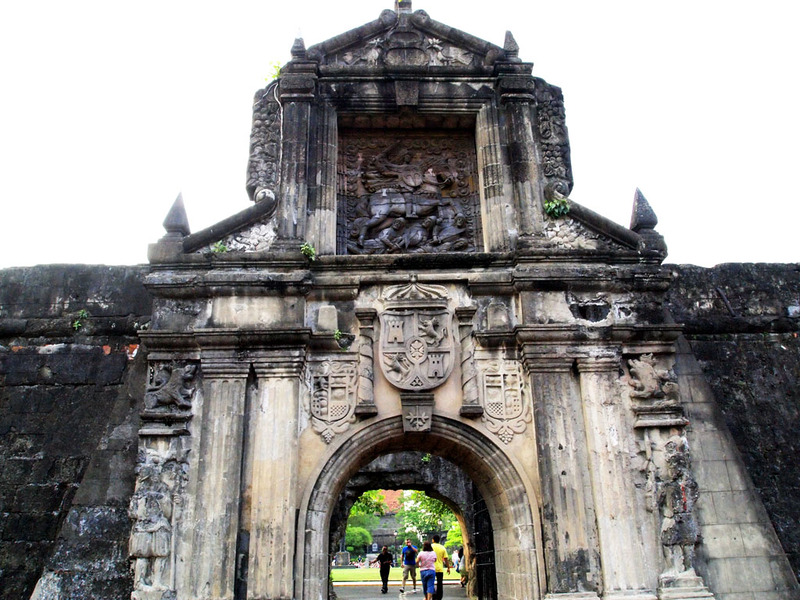 Intramuros, the walled city established by the Spaniards when they occupied Manila in 1571, is one good example of "medieval" fortification, which I visited again recently. Another example is Fort Pilar in Zamboanga City. Fort Pilar is a star fortification, which is also known as a trace italienne. Guarding over Intramuros, which means "within the walls," is the citadel called Fuerza de Santiago, or Fort Santiago. The citadel is augmented by redoubts (reductos) bastions (baluarte), and ravelins, built around the perimeter. These are meant to guard the city against Chinese pirates and other enemies of Spain. It is interesting to note that the Chinatown, which is across the river, was built within the range of the fort's cannons. 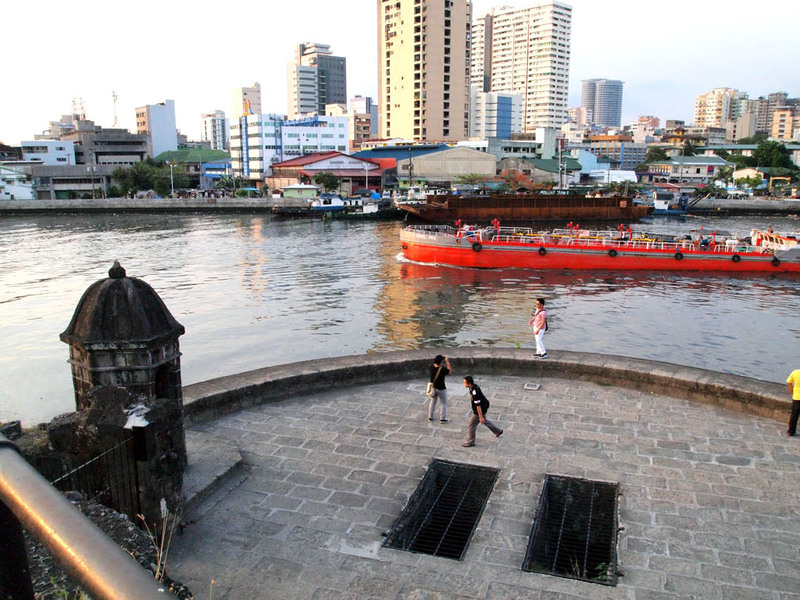 Fort Santiago is located close to the Pasig River. Its entrance, decorated with the likeness of St. James the Great, is accessible by crossing a moat. The triangle-shaped fortification is fronted by a terreplein , and bastions were built at the two intersections where the walls meet. The bastions were known as Baluarte de San Miguel on the left, and Baluarte de San Francisco on the right, when facing the gate. Another bastion, called a Baluarte de Sta. Barbara was buit at the intersection of the 22-foot walls facing the river. Two cavaliers, called Falsabraga de Media Naranja (which means half orange, as it looks like a semi-circle) and Falsabraga de Sta. 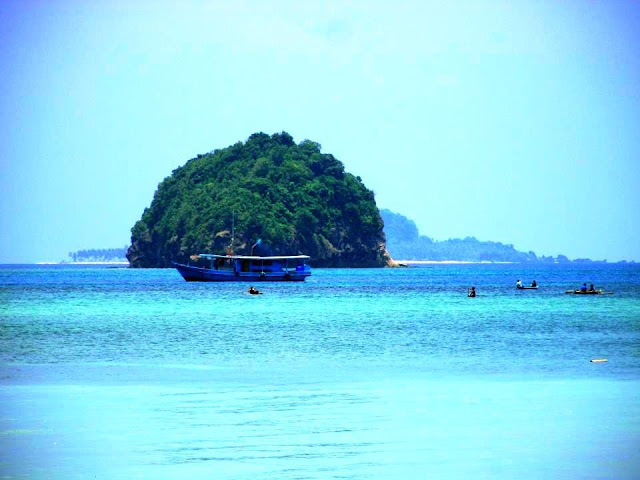 Barbara, were built to augment the river defenses of the fort. 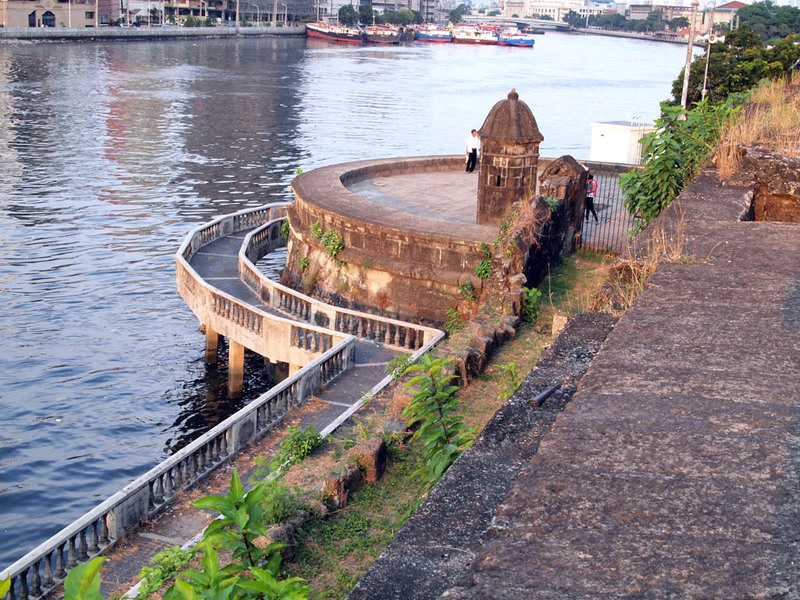 The river is accessed through a postern called Postigo dela Nuestra Seniora Soledad (Postern of our Lady of Solitude). This passage was used by a governor-general named Simon de Anda to escape the British forces, which occupied Manila in 1762. You can climb over these structures when you walk around the fort, which is now converted into a park. You can also see the dungeons just within the bastions, probably used to hold captured rebels or pirates. The dungeons are closed off with an iron grating, but you can see its eerie interior from the outside. Also within the walls of the fort are the barracks of Spanish soldiers, the powder magazine, and other buildings. 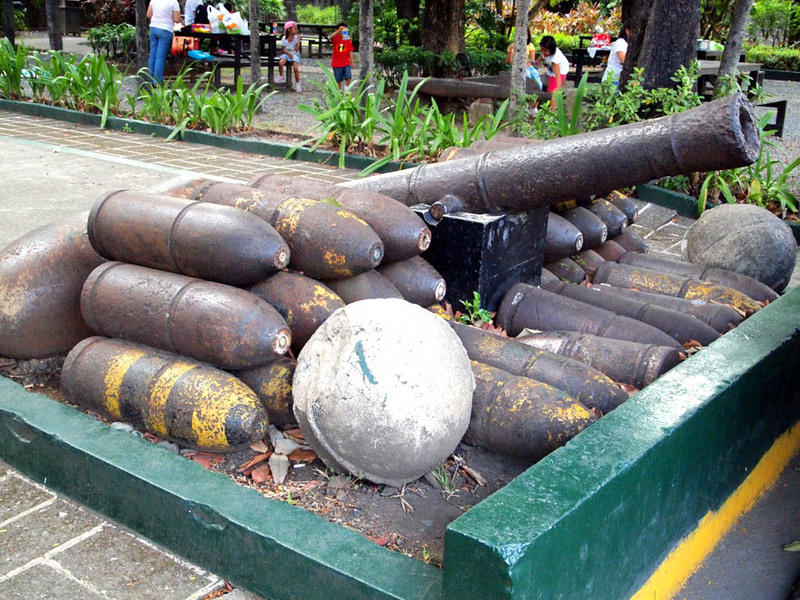 Several cannons and shells can be found around the park. 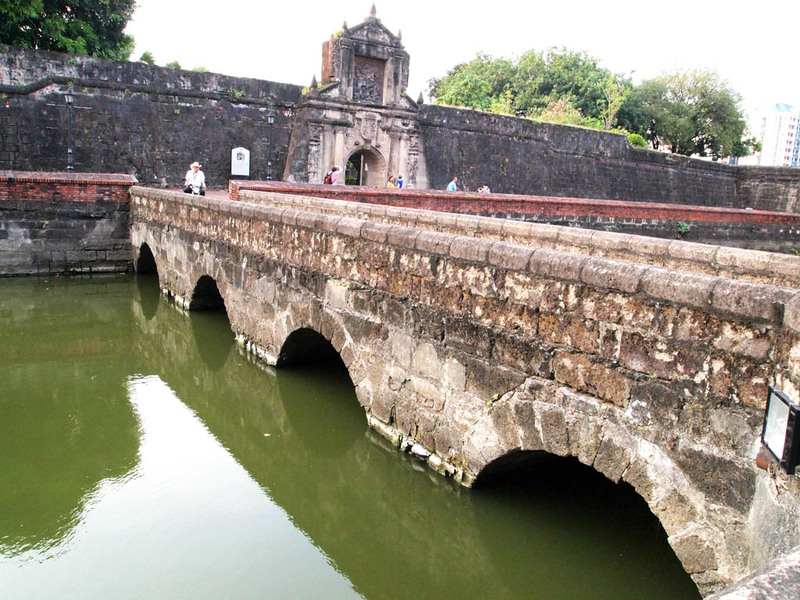 Aside from guarding the city from invading pirates and rebels, Fort Santiago figured in Philippine history as well. 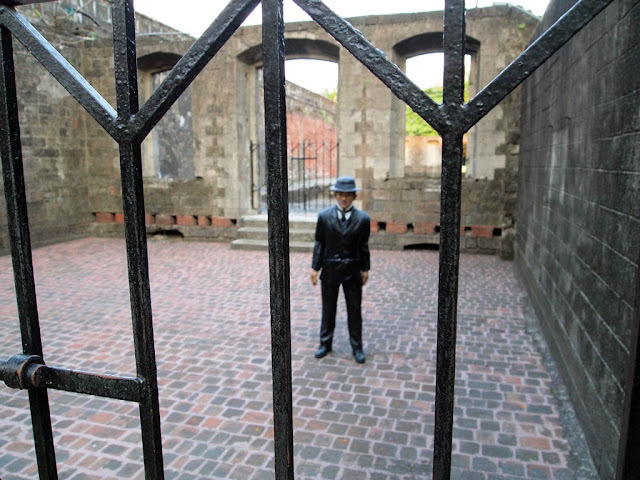 It is in the fort where the national hero, Jose Rizal, was imprisoned. Bronze markers were installed on the ground, tracing the steps of Rizal on his way to Luneta for his execution, from the holding cell going out of the fort. The three-storey building where Rizal spent his last night was now converted into a museum. 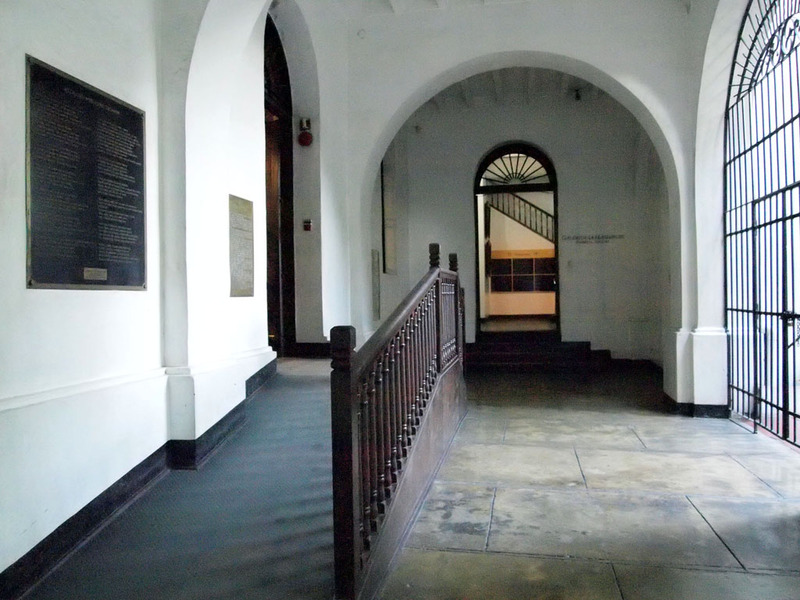 It holds Rizal memorabilia such as artworks, books, manuscripts, and tickets from his various trips abroad. 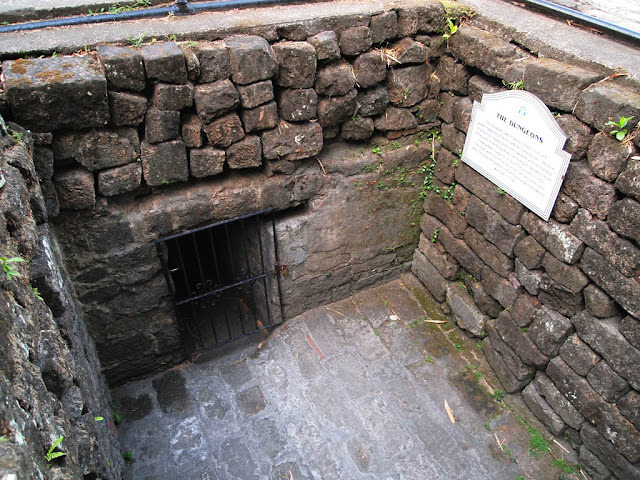 During the Second World War, hundreds of Filipino and American soldiers were imprisoned by the Japanese Army inside the fort and in the dungeons underneath it. 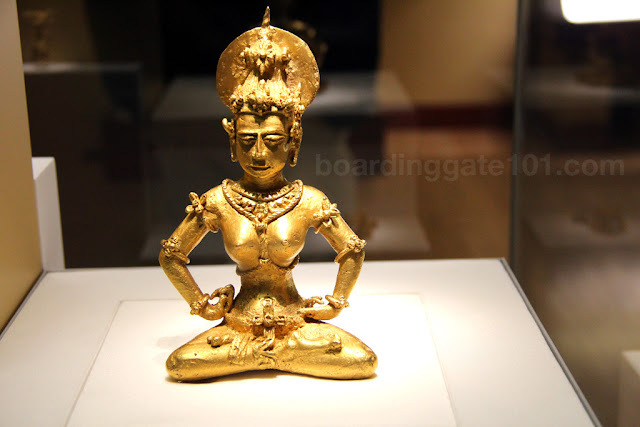 Around 600 of them died of suffocation and hunger in the dungeons. A white cross now marks the site where the atrocities were committed. 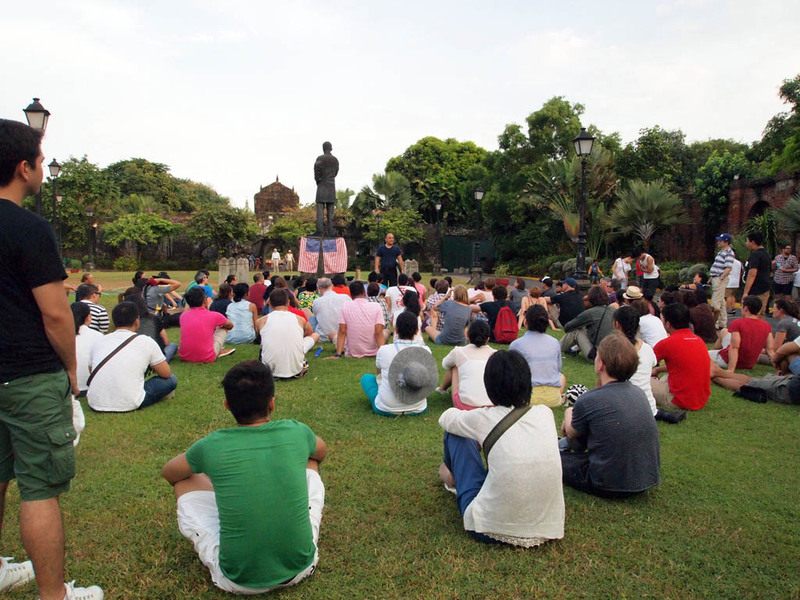 Fort Santiago is located in Intramuros, Manila, so usually the two are visited altogether. A taxi is preferred, but you can also take a jeepney with Pier 15 signboards. Just ask the driver to drop you off Fort Santiago. Intramuros and the Manila Cathedral is just across it. 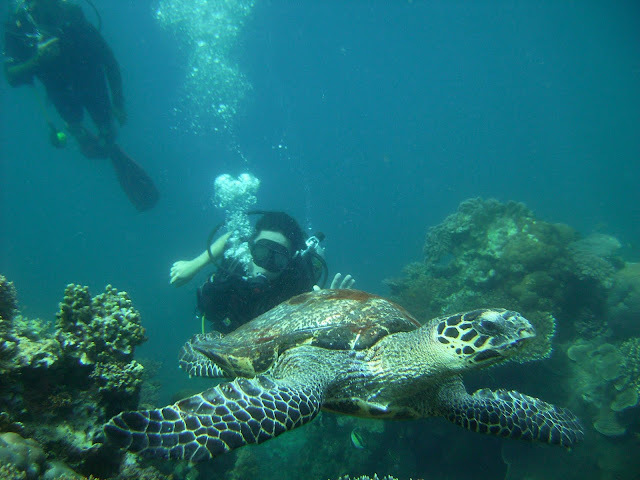 An entrance fee of PhP 75 is collected from visitors.